An absolutely gorgeous piece of minimalist electronica from the Portland duo, Matt Carlson on modular synthesizer and Jonathan Sielaff on bass clarinet. While the former lays down intricately patterned melodies, which dance over you like sparkles of light in the ocean, the latter brings some wonderful and primal drones to bear, taking the music into smearing, ambient majesty. It's so good that while Brian Eno no doubt comes to mind, there's also a hint of the master French orchestral arranger (and Serge Gainsbourg collaborator) Jean-Claude Vannier. For the 300th edition of the show I invited Eddie Kiely of Cork's FIFA Records into studio to talk about the label, how it was set up, and to play some music from their upcoming releases by The Vincent(s) and Elastic Sleep. We also chatted about Eddie's own musical influences and tastes from early Smiths and MBV, to current faves Dissolutes, Land Lovers, The Careers and Girl Band. Eddie has been involved in the music business for about 20 years, having been associated with Cork's "first wave" of label signings in the 1990s as manager of Emperor of Ice Cream (The Emperors). FIFA have had notable releases in the last year by The Frank & Walters and The Would Bes. A glorious re-introduction to the world of A Winged Victory For The Sullen, a duo who played one of the best shows I've been at in recent years in January 2012. I've been trying to put my finger on why this music is so affecting. I think it's got to do with the simplicity of the raw materials - primal drones generated by strings or electronics, a general floating, whirring ambience, melodies pared back to the bone. But put together these amount to so much more than the sum of the parts. 'Atomos VII' adds some padded percussion to the mix, briefly, but mostly the atmosphere is one of serene, swelling, deeply-felt emotion. This is a piece of music that genuinely qualifies for that great hackneyed description. This really is a beautiful thing. A wonderfully gnarled and worldly account of a jazz session, ostensibly, from June 6th 1950 featuring "Bird and Dizzy and Monk", from this veteran although a new name to me. The track consists of a Ginsbergian spoken delivery, supported only by a loose double bass and skittering drums (plus an electric shaver momentarily). 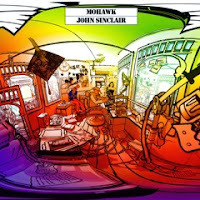 The term beatnik has developed into something of a dirty word in recent years (decades) - 'Mohawk' brilliantly relocates its true beating heart. New music from A Winged Victory For The Sullen this week (pictured), a characteristically serene and gorgeous slow-build with strings, boding well for their new album. Something beautiful too from Golden Retriever, a Portland duo who make a kind of minimalist electronica with modular synths. Brilliant. Also new material from Polar Bear, bringing free jazz and some other stuff into pop music. And Brace/Choir making very tasty drone pop. Also room for old faves Band of Clouds, Rebecca Collins and The Altered Hours, all playing live in Ireland soon. And new faves The New Mendicants, Jacques Caramac and Kiran Leonard keeping the world safe for jangle, glam and prog, respectively. Beautiful taster from the Waterford man now resident in Brooklyn. 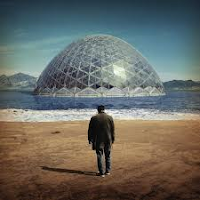 Recorded with O Emperor at their Cork studio, the EP is an interesting accompaniment to their wonderful album of last year, Vitreous, plying its George Harrison/Harry Nilsson axis of influences. With David Murphy of John Blek & The Rats adding sweet pedal steel, there’s even a shade of Lambchop at their lugubrious best to the utterly sublime ‘I can’t talk about it’. A tremendous album which takes folk music on an intriguing, epic journey. From the beginning, ‘Silver Timothy’ would remind you of America (the band, one of several songs with those signature close vocal harmonies and brushed acoustic guitars; the vast continent too), although with an added psychedelic, cosmic sheen. In fact the whole album has this feel about it. It’s not that it’s all-out trippy, but inherent to it is a definite step away from accepted reality. It is folk music taken out of the coffee house and brought back into the wild. I watched the Big Star doc Nothing Can Hurt Me over the w'end (a fascinating social history of the time and place - Memphis - as well as a rockumentary) so it felt only right to open the show with one of their classics from #1 Record. As it happens, The New Mendicants' album is just out too, bearing more than a little of the Big Star influence, which is welcome anytime. windings are back with their side of the split with Land Lovers, more quality, and Laurie Shaw, who I know very little about except that he makes great garage pop tunes, and loads of them. Check him on Soundcloud for more. Other tasty new releases from Future Islands (that voice, those basslines), Eyedress, Trans (Bernard Butler's new band) & Milagres. A beautiful EP by Patrick Freeman, a wonderful album by Damien Jurado. And a couple of archive classics/lost treasures from Stereolab and Bruce Haack (pic). Program me is right. The first peep for a couple of years from the Baltimore three piece and how good it is to hear from them, on their new label having moved from Thrill Jockey. This single doesn’t depart too far from their signature sound – that is to say, emotive and emotional electro pop (post wave, some people venture) with singable synth lines, propulsive bass and the completely persuasive and soulful croon/growl of Sam Herring. The growl isn’t quite in full flow on this track (hopefully it hasn’t been decommissioned to suit the bigger label step-up) but it’s still one of the most beautiful vocal instruments anywhere. Music from several acts playing in Cork/Ireland soon on this week's show (hopefully they won't need a boat to get here). Julia Kent's sublime, intense cello instrumentals; Band of Clouds with some gorgeous shoegazey dream pop; Rebecca Collins (from The Unusual History of Ether, pic) with a lovely solo acoustic release; and Crayonsmith from their Milk Teeth album of last year. Land Lovers are issuing a split album with windings shortly. Jacques Caramac just being superb as usual. Great wonky pop (bit of ska in there) from Piper's Son. And Dean Wareham, whose debut solo album is due out soon. The man is a legend.